This may shock you – but YOU are the one who measures out the blessings of God in your life! ...The goodness of God in your life is measured out by you, by your own faith – by your own mental readiness! Condition Your Mind to Manifest Overflowing Abundance! Recorded live by the late, Great Rev. 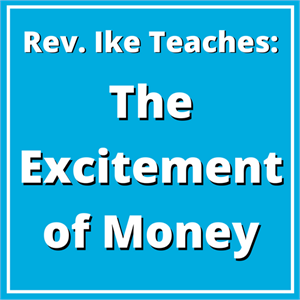 Ike, and now available in a 2-MP3 set, these powerful "Excitement Of Money" Lessons will wake you up – inspire you – and reach way down into your subconscious mind to re-program you for good health – happiness – love – success – prosperity – and MONEY! Listening to these powerful lessons is like having a front row seat at one of Rev. 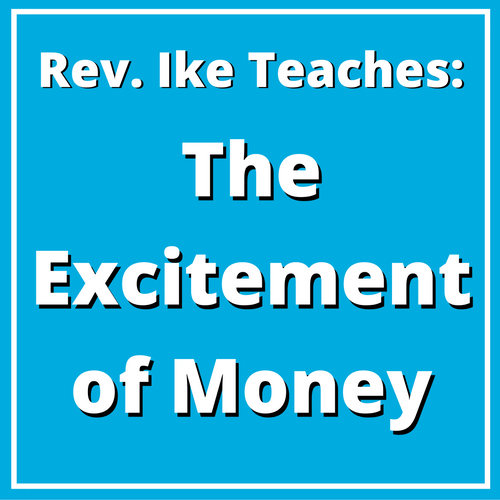 Ike's most exciting workshops. You'll experience Rev. Ike at his dynamic, charismatic, irresistible best! You'll repeat empowering affirmations that will condition your mind to accept money and prosperity into you life! You'll discover the simple, yet profound visualization secrets for getting what you want in life! You'll learn and practice Rev. 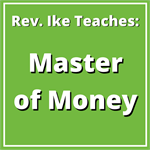 Ike's "identification" technique for attracting money to you! Together with Rev. Ike, you'll practice consciousness-raising Visualization treatments that will transform your thinking and create a new confident, successful self-image! You'll learn the amazing technique that 'seals the deal' between you and God which opens you up to receive your blessings! What joyful words, "My Cup Runneth Over"! Listening to these MP3s will awaken you to your OWN spiritual source of all good, and you will learn how to mentally create 'overflowing abundance' until your 'cup' runs over with all the riches of life! You'll realize your own 'Spiritual Oil Well' – and learn how to tap into that inner 'well' of unlimited abundance – by harnessing the power of God-in you! Stop Being 'Ensnared' by the Words of Your Mouth! Rev. Ike teaches you that your 'word' is what you think, say and believe about yourself. And what you SAY is what you GET! In these lessons, you discover the power of your words – and learn how to use that power to make your words work FOR you – instead of AGAINST you! You're going to learn THE RIGHT WAY TO PRAY! ... and you'll start praying to the one generous, loving God of Abundance! You'll learn how to tell God what you want – and get it! If you've experienced Rev. 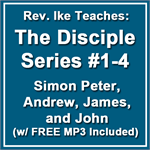 Ike's powerful teachings on MP3 before, you already know what a difference it can make in your life! Order this exciting 2-MP3 audio workshop now, for a donation of only $12.95, and start putting your amazing mind-power to work to create the life of your dreams! Total length: 1 hour 26 minutes.